Country duo Big & Rich are embarking on a U.S. summer tour in support of their latest album Gravity. They recently just scored 10 back-to-back Top Country singles with “Look at You” and “Run Away With You” and will bring their must-see show to audiences nationwide. Their newest single “Lovin’ Lately,” which also features singer Tim McGraw, is racing up the charts and is the newest track from their album. Concert goers will get an up close and personal experience as the phenomenal duo bring their unique style and sound to fans all over the country. The tour promises to showcase hits from Gravity, which has launched the larger than life duo to new heights since its release. 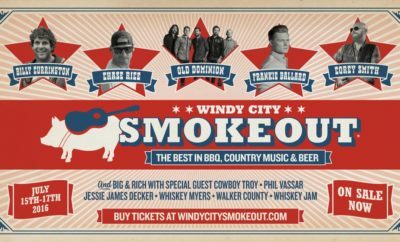 One can’t miss show during the tour is the special Memorial Day performance, which also includes performances by Thompson Square, Parmalee, Chuck Wicks, RaeLynn, and Breaking Southwest with proceeds going towards The Special Forces Charitable Trust.